Our beloved Janet Lucille Jenkins Duerst Mead passed on March 13, 2019 after a brief illness. She was 88. Janet and her identical twin sister, Sarah, were born January 18, 1931 to Wayne and Ida Jenkins of Cottage Grove, Oregon. Janet graduated high school and attended Oregon State University. She married Roy Duerst of Cottage Grove in 1950. They had five children and enjoyed camping and lots of sports events as a family. Janet married Clarence “Charley” Mead in 1976 and moved to Eugene and later to Dallas, Oregon where her husband established a machine shop and she worked as bookkeeper. The couple enjoyed country living and long road trips to warmer places and hosting their children and grandchildren in many family events. 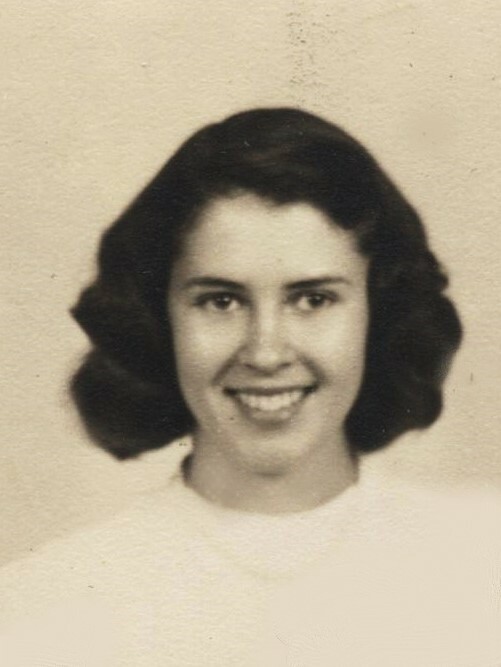 Janet loved flowers, country living and wildlife, and watching college sports. She adored and supported her family in every way she could. Her later years were lived out in a wonderful care home in Happy Valley, Oregon. Janet was preceded in death by her parents, her adored husband Charley in 2003, her sister Sarah and brother-in-law Milo Chapman only a few months apart in 2016 and 2017. She is survived by her brother, Howard Jenkins of Cottage Grove, her children and their spouses: Kathleen and Jeffrey Berger of Springfield, Jonathan and Sharon Duerst of Powell Butte, Neil and Carol Duerst of Eugene, Ann and John Robinson of Gladstone, and Craig Duerst of Gladstone, as well as many nieces and nephews, nine grandchildren, four great grandchildren; also, survived by stepsons Scott Mead and his children and grandchildren, and Max Mead. A celebration of life for Janet Mead will be held Friday, April 19, 2019 2-5PM in a country setting she enjoyed and where she and Charley met: Creswell Clay Target Sports, 81078 Hwy 99N, Creswell, Oregon 97756. For more information contact: Carol Duerst 541-912-2236.